Qualcomm will market its next flagship mobile chipset as the Snapdragon 855, the San Diego-based chipmaker announced on Tuesday at its third annual Snapdragon Tech Summit in Hawaii. The system-on-a-chip (SoC), briefly known as the Snapdragon 8150 in pre-release benchmarks, will feature mulit-gigabit 5G connectivity and an all-new multi-core aritificial intelligence (AI) engine, according to Alex Katouzian, senior vice-president and general manager of mobile at Qualcomm. In terms of AI performance, Katouzian said the 855 is three times faster than the Snapdragon 845, and two times faster than competing 7nm chips announced earlier this year (i.e., Huawei’s Kirin 980 and Apple’s A12 Bionic). In addition, the chipset features a new computer vision-focused image signal processor (ISP) that Qualcomm says will deliver entirely new photo and video features. The company also teased the inclusion of its new Snapdragon Elite Gaming platform, which the company says will elevate mobile gaming to a new level. 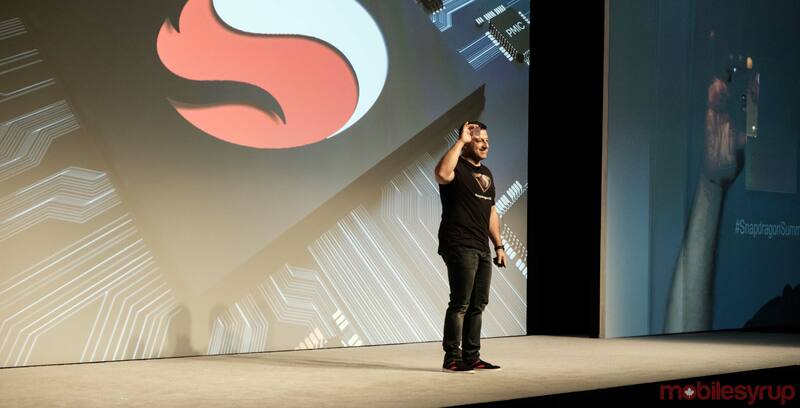 Katouzian promised to reveal further details on the upcoming SoC during day two of the company’s Snapdragon Tech Summit in Maui. The 855 will arrive in high-end Android devices starting partway through next year. Alongside the 855, Qualcomm announced its new 3D Sonic Sensor in-display fingerprint scanner platform. Set to launch alongside the 855 in the first half of 2019, the 3D Sonic Sensor uses ultrasonic waves to image and authenticate an individual’s fingerprint.